Rabies is a dangerous disease that is preventable when people are armed with the proper knowledge about it. Deaths in the United States from this disease are not common, it is one of the deadliest diseases and is the source of around 70,000 deaths worldwide. It is important to understand the risks and what to do if exposure has happened in order to prevent death. Rabies is normally spread by the bite of an infected animal because rabies is carried in the saliva. There are other ways that it can be transmitted but they are very rare in occurrence. The most common animals to carry rabies in the United States are skunks, coyotes, foxes, raccoons, and bats. The most common animal known to spread the infection to people is bats. Bats are commonly found in trees, caves, abandoned buildings, and under bridges. There are times when they will make their homes within attics, under picnic tables, and even under outdoor umbrellas. It is impossible to tell if a bat is infected just by looking at it because they all act differently and there are no set visual signs. They will hiss and screech in defense of themselves and there are some bats that can take off from the ground and others that can’t. People will not be able to look for visual cues of the infection. When people see a bat inside a building or if they wake up in a room with a bat, it is necessary to contact authorities, like the local health department, so they can be removed and tested. It is difficult to tell if a person has been exposed or bitten for a variety of reasons. Bats have small teeth and the bite marks they can leave will disappear in as fast as 30 minutes. 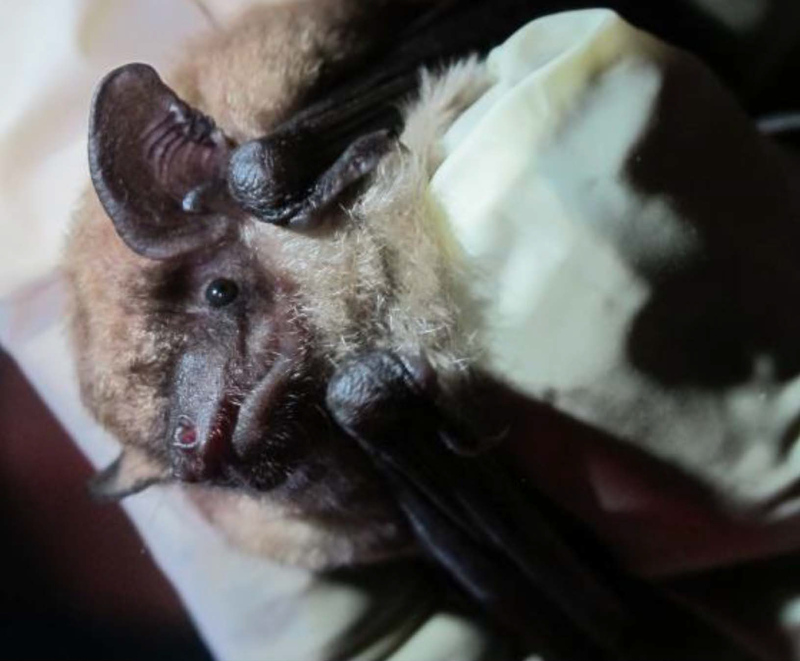 Any possible exposure to a bat bite or scratch needs to be treated as if there was a possible rabies exposure for safety reasons. If the wound can be located, the wound should be washed with soap and water for a few minutes and then seek proper medical attention. If a person is unsure if they have been bitten, they should seek medical attention as a precaution. There are post-exposure vaccination and immune globulin injections that can be administered. The vaccine is given in the area of the upper arm. The immune globulin is given near and into the wound (if it has been located) and the rest is given in a muscle in an area distant from the vaccine. If the wound was not located, the globulin will be administered distant from the vaccine. If these treatments are sought out immediately, a person will be able to keep from getting sicker and they will be able to go on with their daily activities. Rabies is such a dangerous disease that when treatment is not sought out, it has a 99.9% mortality rate. Bats are a necessary part of our ecosystems and they serve an important service, but they are an animal that no one should try to handle. It should be left to professionals if a bat or bats needs to be removed from an area.